Qi Aerista Smart Brewer - Tea Brewed Perfect. Always. Proud Recipient of the iF Design Award 2019! Through numerous of experiments, our in-house experts come up with the optimal temperature and time settings for the 9 different teas to satisfy all your tea brewing needs. Start brewing tea perfect by tapping on the aesthetically designed touch panel or on Qi Aerista app. You can program the smart tea maker to brew automatically and heat as a variable temperature kettle. Track and brew your favorite teas from the Qi Aerista app. Works on iOS and Android. 4 simple steps to make your perfect brew of tea. Choose tea type and tap to brew. Wash the inside of the carafe. Clean the exterior of the carafe with a cloth. Share tea reviews with others! Qi Aerista ships anywhere in the world. Actual shipping costs are determined at checkout. For more information on shipping, please check out our FAQ Page. Please note that the customer will be solely responsible for (1) Any tax or import duties that may be required when the shipment arrives in your country. (2) Any additional charges that may be applied upon package arrival in accordance with the terms set by the delivery service provider. That's great and enjoy the tea every moment. Thank you May for your wonderful review! Love it. Best brewer I’ve ever used. I am really happy with my Smart Brewer. It works well and is easy to use! Love the brewer. Helps me to make a perfect tea. Highly recommended! 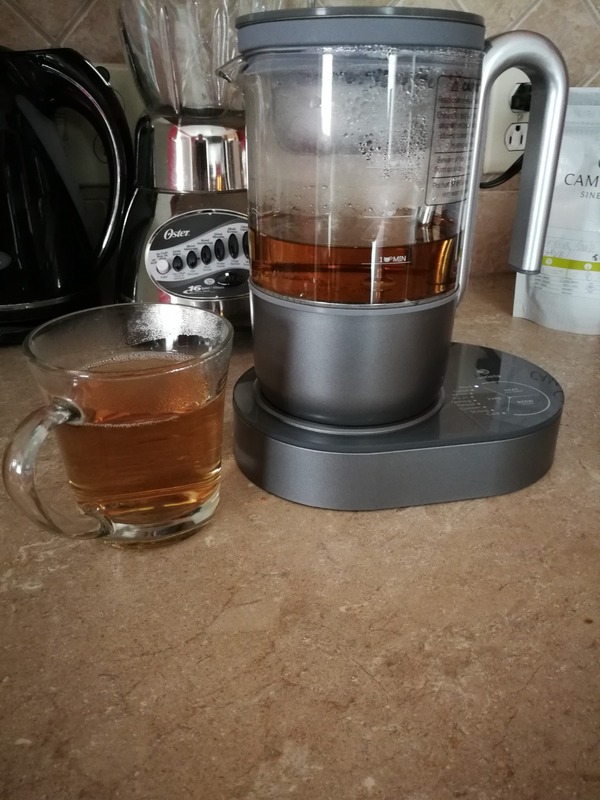 Our family loves this tea maker so much that we've purchased a second. When my in-laws from Iran were visiting, they used this everyday - to the point of requesting one to bring home with them to Iran. They were using it at least three times a day, and were very impressed with the tea the machine was able to brew. I don't use it as much as they do, but I'm always impressed with the tea that this machine brews for leaves that require a lower temperature. The flavour is much more intense, without the typical astringency. The tea is always perfect. Simple and easy. There were some issues connecting to the brewer, but it was solved with an update of the app. The taste of the different kinds of tea is amplified compared to normal brewing. Love it. Best brewer I've ever used. It's easy to use, easy to do clean and maintain it. The brewer makes perfect tea every time. The Qi Aerista team is always available for help and guidance. They are quick to answer and always glad to help!